Being able to confidently enjoy a healthy smile throughout the years is priceless. 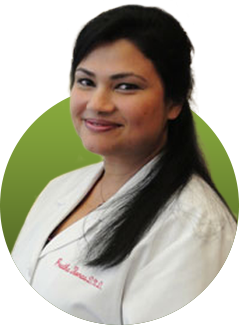 That’s why Dr. Preetha Thomas and her team are happy to provide patients with a dental care approach that’s always skilled, comfortable and dedicated to your well-being. We’re interested in forming a relationship with you that’s built on trust and mutual understanding, and you’ll be amazed by the gorgeous results we can create. We can't wait to meet you,and exceed your expectations. From general care to more complex restorative and cosmetic treatments, patients can receive the personalized dental options they need here at Enclave Dental. Contact our office today to schedule your first appointment. We can’t wait to make you a member of our family! The word Enclave is of French origin and it stands for “an area with people who are different in some way from the people in the areas around it”. At Enclave Dental, we believe people are whole beings and the mouth is connected to the head, neck and entire body. Treating the individual goes far beyond the teeth. We provide dental treatment that not only takes your smile into consideration, but also the vitality and wellbeing of your entire self. 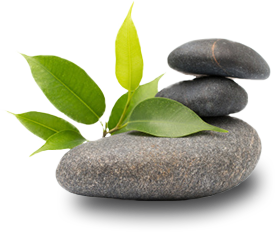 Our treatment philosophy is holistic and we prefer natural, minimalistic remedies. Holistic dentistry is the practice of treating the underlying problems that cause symptoms in the mouth, attempting to eliminate those problems (and, hence, preventing the symptoms from reoccurring) while ensuring the work done in the mouth does not have an adverse effect on your overall health. 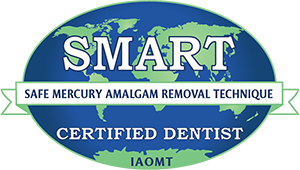 Our concern for the chemicals and materials used in dentistry turns our attention to biocompatible dental products and non-metal restorations and prosthesis. Through education, comfort, and state-of-the-art techniques, we can help you achieve whole-body health instead of simply treating symptoms as they appear, resulting in a truly revitalizing care experience. Please fill out this short form and we will get back to you as soon as possible with the answers you’re looking for. Here in Southlake, Dr. Thomas and her team strive to provide dental treatment that not only takes your smile into consideration, but also the vitality and well-being of your entire self. Through education, comfort, and state-of-the-art techniques, we can help you achieve whole-body health instead of simply just treating symptoms as they appear, resulting in a truly revitalizing care experience.